Allot of times when programming a PLC you need to track what has previously happened. Shift registers allow you to do just that. We will look at a PLC basic tutorial of a conveyor belt and reject station. 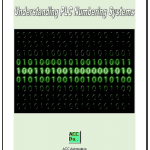 Following the 5 steps to program development this PLC programming example should fully explain the function of shift registers. 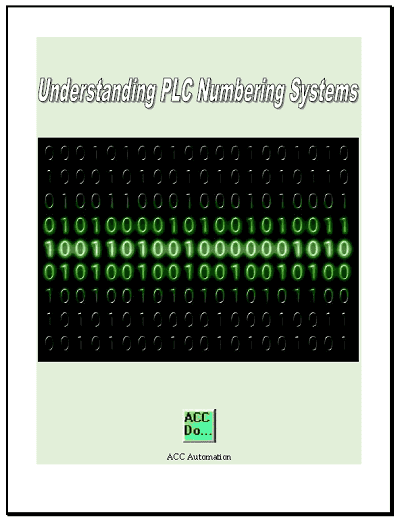 Ladder will be our PLC programming language. We will be using the Do-more Designer software which comes with a simulator. This fully functional program is offered free of charge at automation direct. A start pushbutton (NO) is used to start the conveyor and a stop pushbutton (NC) is used to stop. Sensor B detects product on the conveyor belt and sensor A will detect if it is too large and needs to be rejected. The product is tracked along the conveyor belt and when under the reject station the Reject Blow Off will expel the bad product. Product is randomly placed on the conveyor belt, so an incremental encoder is used to track the conveyor movement. 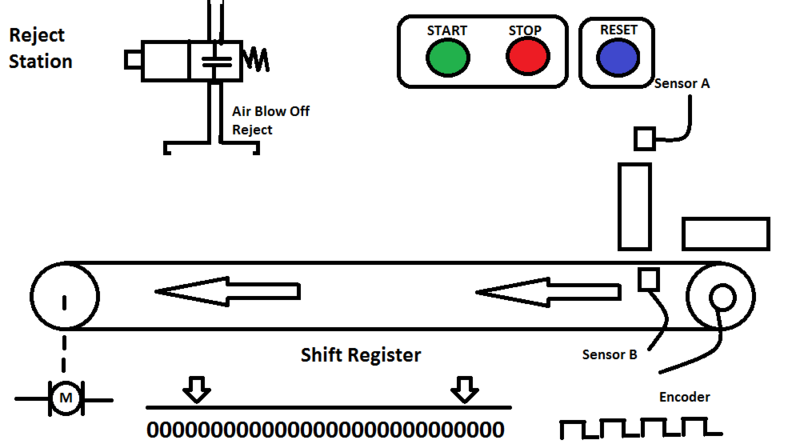 The reset pushbutton (NO) will signal that all of the product on the conveyor has been removed between the sensors and reject blow off. Fully understanding the logic before starting to program can save you time and frustration. Sequence Table: The following is a sequence table for our conveyor reject application. It is a simple sequence table, but clarifies the following: When power goes off and comes on the sequence will continue. This means that the shift sequencer must be memory retentive. Sensor A and B must be on to get tracked with a shift register. 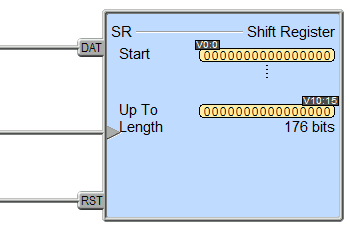 Shift Registers: The Shift Register (SR) instruction shifts data through a predefined number of BIT locations. These BIT locations can be a range of BITs, a single Word or DWord, or a range of Words or DWords. The instruction has three inputs. Data, Clock and Reset. The data input will load the beginning bit with a ‘1’ if it is on or ‘0’ if it is not. Clock input is used to shift the data through the shift register. 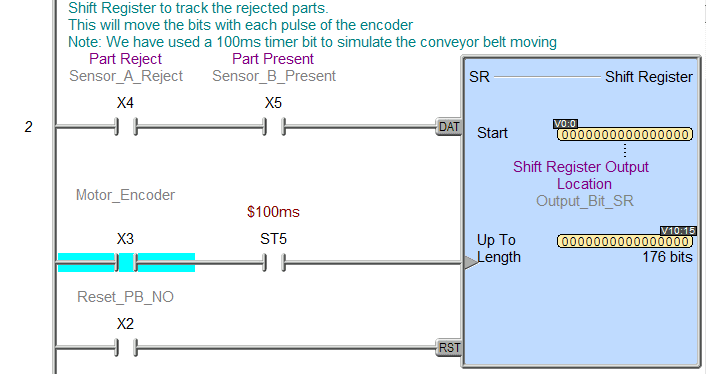 In our example, we will be using the encoder on the conveyor to track the reject container. So each pulse of the clock represents a distance on the conveyor. The last input is the reset. It will place ‘0’ in all of the bits within the shift register. Start and stop of the conveyor motor. Shift register to track the rejected parts. This will move the bits with each pulse of the encoder. Note that the ‘V’ memory is used because it is memory retentive. This will look at the bit in front of the reject station. We can measure and count off the length (conveyor) and then find out what the bit location will be at the reject location. Test the program with a simulator or actual machine. Make modifications as necessary. 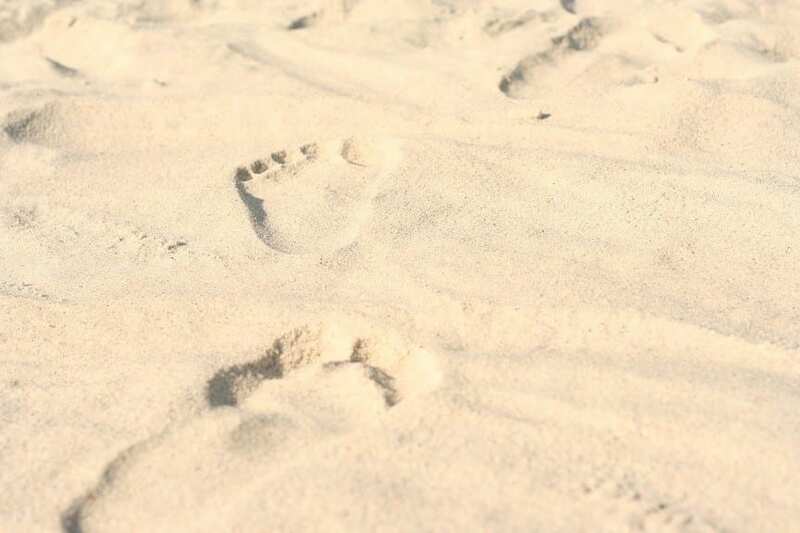 Remember to follow up after a time frame to see if any problems arise that need to be addressed with the program. Notes: Sometimes you can use multiple shift registers in your program. This can be helpful if you want to actually track the container as well as the rejects. 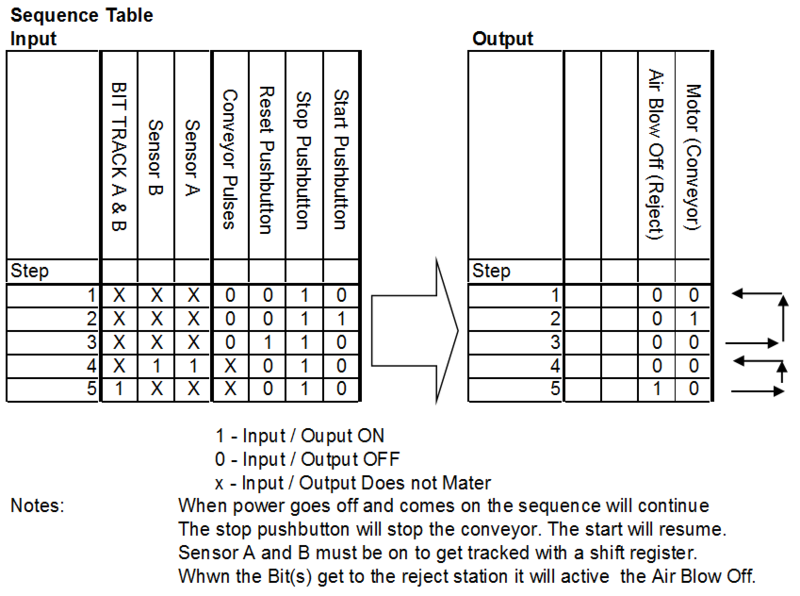 You could also use bit shift right (BSR) and bit shift left instructions (BSR) to do the same thing as we did with the shift register instruction. In the Do-more PLC it is rotate left (ROTL) and rotate right (ROTR) instructions. Always check your instruction set of the controller that you are working with before starting to program. This PLC programming example will look at sorting coloured tags into three different exits. The 3D simulation will use three different shift registers to trigger when to direct the correct colour tag. Watch the sequence of operation video below.